Rent a bike Budapest you can reserve you bike. One way service, only in the city centre. Only 24 hours advance booking avaiable. CRUISER 1 HOUR FREE WITH HOP ON HOP OFF CUPON 10 pcs. You can adjust the count of bike after you get the rental time! 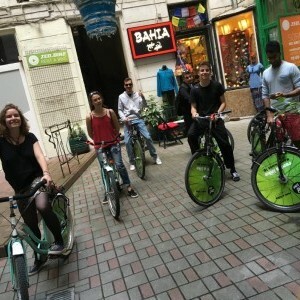 7 years ago, our business was one of the first in Budapest that rented out bikes. We have had many customers from all over the world, South Africa, Chile or Iceland are just some examples. A lot of our tenants return every year. We try to adapt and extend our range constantly. 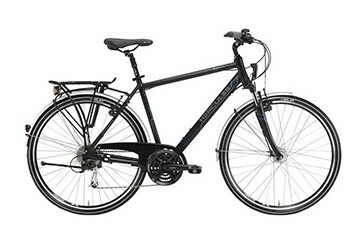 Our bike and webshop provides a big help, it is an easy way to find us. 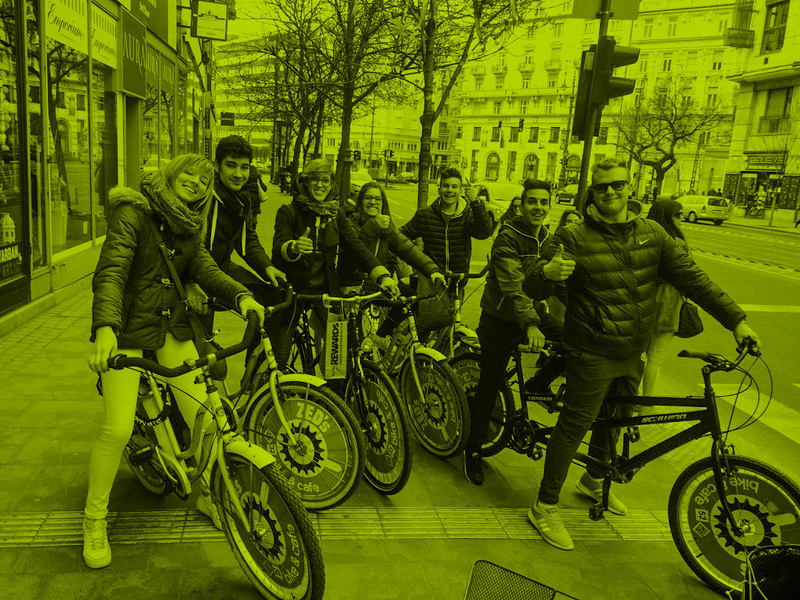 Zed Bikes is located in a convivial and pleasantly inner courtyard, right in the city center, where our team is always happy to welcome new people and to help them find the right bike. 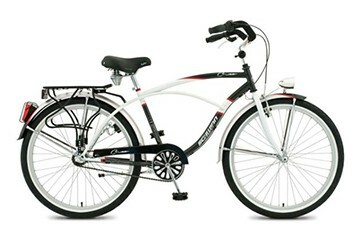 Our assortment offers to choose between cruiser, trekking or tandem bicycles. 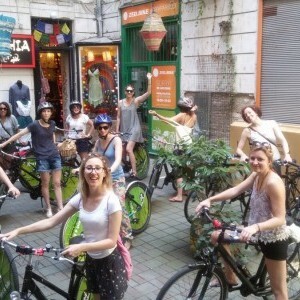 We believe that cycling is the best way to discover Budapest. 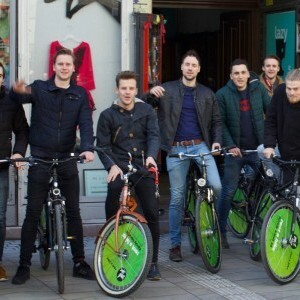 It is not only practical, also the city's cycling network is growing from year to year. 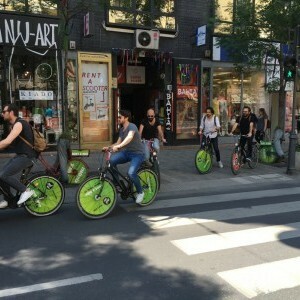 Budapest is a great place, a city full of life, let's rent a bike and be part of it - on two wheels! 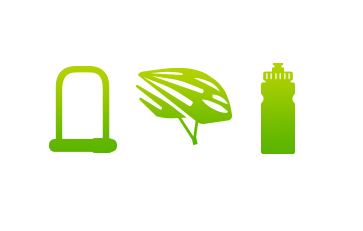 What do I have to pay when I rent a bike? The rent and the deposit have to be paid in advance. What if the bike or any items/accesssiors of the bike gets stolen or damaged? The renter has to take the full responsibility due to the general conditions and according to the damage list. Is it possible to pay by card? It is possible to pay the rent by card but unfortunately the deposit we can just accept in cash. What do I have to bring for the rent? ID card, passport or driving license and cash. Do I have to leave my ID card with the deposit? No, we just need the number of your ID card. Do I have to pay the deposit per bike? Is it possible to pay in the currency of my home county? Yes, but only if you can pay the exact amount, as we can not change. We have to give you back in Forints. Is it possible to keep the bike overnight? 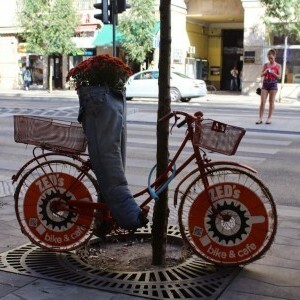 Yes, but just if you are sure that you can store the bike in a protected, non public space. It is not mandatory but we recommend it. The helmet is included in the bike rental fee. Wear comfortable clothes and shoes, resonable to the weather. Yes, you will get 10% off. 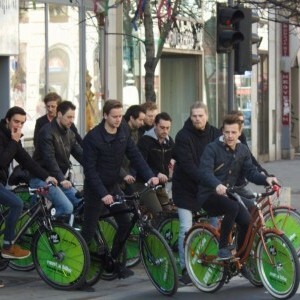 Is it possible that more persons at the same time are ridig the same bike? No, this is forbidden by the law and you will have to pay a fine for it. 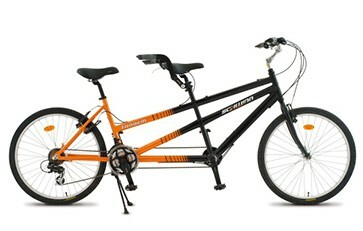 Only the tandem bike is available for two persons. Do I have to use a locker? Yes, as soon as you leave the bike alone you always have to lock it! What can I do if my bike has a defect? We give our best to check every bike before renting it out to provide situations like this but unfortunately mistakes can always happen. In case of a defect, the bike has to be returned to our store. There we can change your bike (of course the renting time will be extended free of charge) or we will refund a part of the renting fee. 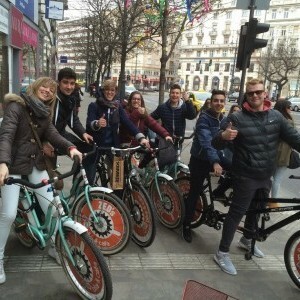 How to ride a bike in Budapest? Where bycicle lanes are provided, bikers must use them whenever practicable. 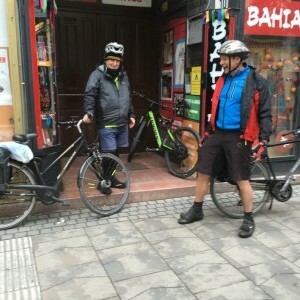 If there are no possible lanes, bikers can use the non-separatet routes on the pavement, but the bikers must be careful around the pedistrians and they are not allowed to ride faster than 10 kilometers per hour. You are allowed to have a minnimum of alcohol but we do not recommend it. In case you drink, be careful and ride slowly, more that usual. Only ride as it is in your ability. Always take care of you and the others around you. 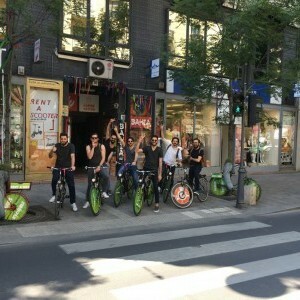 Http://rentbikesbudapest.hu is operated by Promo Solutions Ltd. (hereinafter referred to as "Service Provider"). Service Provider's business name: Promo Solution Trading Ltd. The Service Provider's seat is: 1052 Budapest Károly Krt 10. The postal address of the Service Provider: 1052 Budapest Károly krt 10. (Cg: 01-09-305926 , registered on 30th September 2011 by the Metropolitan Court as a Court of Registration, with the tax number: 26174073-2-41), according to the regulations issued by the Public Administration Office (Department of Internal Trade and Tourism) Commercial activity. Orders can be placed online at http://rentbikesbudapest.hu webshop electronically via the Internet at http://rentbikesbudapest.hu. Orders submitted by phone, fax, e-mail or letter will not be accepted by the Service Provider. The ordering information is also sent by the Service Provider by electronic means to the Buyers. As well as Buyer data. If the confirmation, which contains the terms of the order, does not arrive, the consumer is exempted. The language of the contract is Hungarian, but after special adjustment contract is possible in English. The order is deemed to be a signed but non-signed contract on the Internet, the content of which is filed, archived and retrieved, retrieved. The registration number is always the order number of the order. On bookline.hu the prices are in HUF, VAT included. Impossibility of performance will terminate the contract. In the event of non-execution, the Service Provider shall be informed promptly and shall return the pre-paid amount within 14 days after the information has been provided. There is no additional charge for the Customer in connection with the refund. The Service Provider will do its utmost to maintain the accuracy of the information contained on the website and to update the stock information, but at the moment of the termination of the contract, the Service Provider's commercial partner as a third party outside the Service Provider may, for reasons unforeseeable by the Provider, However, does not make the Service Provider's bid to deceive the Buyer as the Service Provider has acted in the best knowledge of the availability data when making the bid. A 45/2014. (II.26.) Korm. Ordinance, the buyer can withstand the purchase without justification. The customer's right of withdrawal can be exercised via a clear statement by telephone (06-20-8217224), by e-mail (office kukac rentabikebudapest.hu). The Buyer's right of withdrawal may also be exercised between the date of conclusion of the contract and the date of receipt of the goods. The date of receipt (date of receipt of the product) is the date of receipt of the order in the case of receiving the receiving order and the date of receipt from the courier for home delivery. These are with the receiving block block / account and / Can be proved by the receipt received from the courier. Personal receipt does not exclude the right of withdrawal. During the refund, we use the same payment method as the payment method used in the original transaction, unless Customer has given explicit consent to the use of a different payment method. If you use a different refund method, the Customer will not be charged any additional costs. 5. If the Buyer has concluded a service contract with our web store, he / she is entitled to termination without notice. You may exercise your right of revocation for a service contract within 14 days of the date of conclusion of the contract. You may not exercise your right of revocation in the case of a service providing service after completing the service if the Service Provider has started performance with the explicit consent of the consumer and has acknowledged that it will lose its right to terminate after completing the service. The Service Provider system collects data on Buyer activity that can not be linked to other data provided by the Buyer or other data generated through the use of other Internet sites or services. The user is entitled to withdraw his / her voluntary contribution referred to in point III.3. In this case, the Service Provider will not send to the user any newsletters or other advertising letters after the withdrawal and will delete the user data from the data of the subscribed users of the newsletter. The Service Provider considers the Code of Conduct of the Hungarian Advertising Association and the Hungarian Content Providers mandatory for themselves. Criteria and other related reviews of products always reflect the views of users, and the Service Provider assumes no responsibility for their content. The Service Provider reserves the right to delete opinions that affect public opinion, business interests or laws. If you have any questions or concerns regarding your order, please contact the staff at the service office at officebank at rentabikebudapest.hu or at 06-20-821-7224 (working days between 08:00 and 18:00 and at the time indicated on the website) . Consumer complaint handling in writing or in writing. By phone through the customer service, the office envelope at rentabikebudapest.hu and on the 06-20-821-7224 phone number. 9. The Dispute Settlement (litigation) of disputes arising out of the Service Provider may be initiated by a Conciliation Body for a simple, rapid out-of-court settlement. The Conciliation Body competent for the seat of the Service Provider: Budapest Conciliation Body; 1016 Budapest, Krisztina körút 99. III. Floor 310; Mailing address: 1253 Budapest, Pf. 10. Baranya County Conciliation Body Address: 7625 Pécs, Majorosy Imre u. 36. Mailing address: 7602 Pécs, Pf. 109. Csongrád County Conciliation Body Address: 6721 Szeged, Paris krt. 8-12. Győr-Moson-Sopron County Conciliation Body Address: 9021 Győr, Szent István út 10 / a.
Komárom-Esztergom County Conciliation Body Address: 2800 Tatabánya, Fő tér 36. Effective: May 11, 2017 until revocation and / or modification. Its provisions shall apply only to contracts concluded after its entry into force, for former contracts subject to the provisions of the General Terms and Conditions prior to the entry into force. The purpose of this Code is to capture the data protection and management principles applied by Promo SolutionLtd ("the Company") and the Company's privacy and management policy, which the Company recognizes as compulsory. In developing these rules, the Company took special care of the 2011 CXII. Act on Information Self-Destruction and Freedom of Information ("Infotv. "), CXIX. Act on the Treatment of Name and Address Data for Search and Direct Business Acquisitions, Volume VI of 1998. Act on the Protection of Individuals with regard to the Processing of Personal Data in the Processing of Personal Data in Strasbourg, January 28, 1981, Act on the Fundamental Terms and Limitations of Commercial Advertising Activity and the recommendations of "ONLINE PRIVACY ALLIANCE". The purpose of this Code is to ensure that the rights and fundamental freedoms of individuals, in particular their privacy, are respected in the processing of their personal data (data protection) throughout the services provided by the Company, regardless of their nationality or place of residence. User: the natural person who publishes the Company's web site data. User's discretion: e-mail address, telephone number, name, residence / place of residence, place of birth and time, service purchased by the User at the time of purchase, User's acceptance and payment method, User's Purchase Amount, Customer loyalty program established under the loyalty program. Technically recorded data during the operation of the system: the data of the user's login computer generated during the use of the service and recorded by the Data Management System as an automatic result of the technical processes. The automatically recorded data will be logged automatically when logged in or exiting, without the user's specific statement or action. Other users of these data may not be linked to Personal Data except in cases that are legally binding. Data is only accessible by the Data Manager. 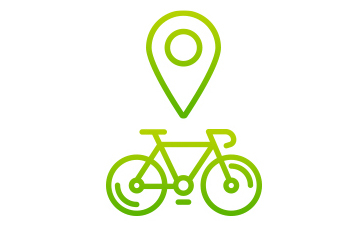 The web content on the web site rentabikebudapest.hu for Data Management is based on the voluntary, informative statement of its users, which contains the express consent of Users to use their Personal Data provided during use of the Site. The legal basis for Data Management is the Act CXII of 2011 on Information Freedom of Information and Freedom of Information. Article 5 (1) (A), the voluntary contribution of the person concerned. 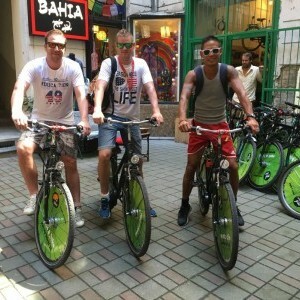 The purpose of Data Management is to provide the services available at rentabikebudapest.hu URL. The range of Personal Data to be used to access these services is provided in the relevant service description. The information to be automatically recorded (see section 3.2) is intended to provide the services available through the Company's web pages, to display personalized content and advertisements, to produce statistics, to develop the IT system and to protect users' rights. Data provided by Users during the use of the service may be used by the Data Handler to form user groups and display user-targeted content and / or ads on the Company's web pages. The Data Handler may not use the Personal Data provided for purposes other than those specified in these points. Issuance of personal data to a third party or authorities - unless otherwise provided by law - is mandatory only at the express prior consent of the User. The Data Manager does not control the Personal Data you entered. The correctness of the data provided is solely the responsibility of the person giving it. When you enter any e-mail address of any User, you are responsible for solely receiving the service from the specified e-mail address. With respect to this responsibility, any responsibility associated with an entry in a given e-mail address will be borne exclusively by the user who has given the e-mail address. Personal data should only be obtained fairly and legally. Personal Data may only be stored for a specific and legitimate purpose and may not be used otherwise. Personal data must be proportionate to the purpose of their storage and must comply with this purpose and may not extend beyond that. The personal data storage method must be such as to allow the identification of the User concerned for the time required for the purpose of storage. Appropriate security measures must be taken to protect personal data stored in automated data files to prevent accidental or unlawful destruction or accidental loss or unauthorized access, alteration, or dissemination. Promo Solutionv ltd. The Company is required to use its services on the basis of the consent of the data subject and solely on purpose. The Company may, in certain cases - prejudice the interests of the Company, endanger the provision of its services, etc., due to official court, police inquiries, legal proceedings against copyright, property or other breaches or their reasonable suspicion. - make accessible to third parties the data of the User concerned. ThePromo Solution Ltd. system collects data on the Activity of Users that can not be linked to the Personal Data provided by the Users or any other data generated by the use of other websites or services. In all cases where the Company submits the Personal Data provided for purposes different from the purpose of the original data collection, it informs the User and obtains its prior, explicit consent or gives him the opportunity to prohibit its use. As a Data Controller, in the case of the recording, recording and management of the data, he / she will always comply with the legal restrictions, and shall inform the data subject according to his / her request by electronic mail. The Company undertakes not to impose any sanction against a User who refuses to provide non-mandatory information. Promo Solution Ltd. undertakes to ensure the security of Personal Data, also takes technical and organizational measures and establishes the procedural rules that ensure that the Personal Data being recorded, stored or managed is protected or prevented from occurring Destruction, unauthorized use and unauthorized alteration. You also agree that any third party to which Personal Data may be transmitted or handed over also calls for compliance with this obligation. If the Personal Data does not comply with the reality and the Personal Data that is true is available to the Data Controller, the personal data will be corrected by the data controller. The Company as a Data Administrator deletes Personal Data if (i) its handling is unlawful; (Ii) asks for the deletion of the User's Personal Data; (Iii) the Personal Data is incomplete or incorrect and this condition can not be legally remedied, provided that the deletion is not excluded by law; (Iv) the purpose of Data Management has expired or the statutory deadline for storing Personal Data has expired; (V) the cancellation of Personal Data is ordered by a court or authority. Instead of deleting the data, the Data Controller will block Personal Data if the data subject so requests or if, based on the information available to him, it is assumed that the deletion would harm the legitimate interests of the data subject. Personal data so locked will only be treated as long as there is a data management target that excludes the deletion of Personal Data. The person concerned must be notified of the correction, blocking, marking and deletion and all those who have previously been transferred to Personal Data for Data Management. The notice may be omitted by the Data Handler if it does not violate the legitimate interest of the User for the purposes of Data Management. The User-defined Personal Data Management shall be maintained until the User has subscribed to the service with that user name. The date of deletion is 10 working days after the user's enrollment (cancellation request) has been received. In the event of the use of personal data or in the event of an offense or system attack by the User, the Data Controller shall be entitled to delete his / her data at the same time as the User's email address is terminated. However, in the event of suspicion of a criminal offense or suspicion of civil liability he or she is entitled to keep Personal Data for the duration of the proceedings too. Personal Information provided by the User - even if the User does not subscribe to the Service - may be treated by the Company as a Data Handler until the User specifically requests them in writing to terminate their processing. The request to terminate the User Data Disclosure without having to unsubscribe from the Service does not affect the right to receive the Services, but may, in the absence of Personal Data, have access to certain services (eg auction, leaderboards). The Personal Data will be deleted within 10 working days of receiving this request. Data that are automatically recorded in the system's operation will be stored in the system for a reasonable period of time from the time of their generation to ensure the system's operation. The Company shall ensure that these automatically recorded data can not be linked to any other User's Personal Information except in cases that are legally binding. If you have terminated your consent for managing the User's Personal Data or has opted out of the service, then your person's identity will not be identified. Changes in personal data or the need to delete Personal Data can be communicated by means of a written statement expressed in a letter sent by the internal mail system of the service. Send newsletters by modifying the user interface settings on the page. Some personal data may also be modified by modifying the personal profile page. After the request for deletion or modification of personal data, previous (deleted) data can no longer be recovered. The Promo Solution Ltd. No external data processor will be used. It processes the Personal Data it manages. The Company as a Data Controller is entitled and is obliged to transmit to the competent authorities any personal data that is available to him and which he or she has legally stored, which is obliged to transmit it by law or by a statutory duty. Due to such data transfer and the resulting consequences, no data controller is liable. The Company shall keep a Data Transmission Register for the purpose of controlling the lawfulness of the Data Transmission and informing the person concerned, including the date of transmission of the Personal Data it manages, the legal basis and the addressee of the Data Transmission, the definition of the scope of the Passed Personal Data and other data specified in the Data Protection Act. The Users from the Company as a Data Controller at any time in writing to the Data Manager Address (1052 Budapest Károly krt 10) may receive information from the Company as a Data Manager by registered mail or by e-mail addressed to the office kukac rentabikebudapest.hu. The Data Handler requests information by e-mail only if it is credited to the User by the specified e-mail address. The request for information may cover the data of the user, managed by the data controller, their source, the purpose, legal basis, duration of the data processing, the names and addresses of the data processors, the activities related to data management and, in the case of the transfer of personal data, who and for what purpose And user information. The Data Manager is required to provide information in writing, within a short period of time, but not later than 30 days, from the date of receipt. In the case of an email, the date of receipt shall be deemed to be the first working day following the date of dispatch. 12.3. The correction, blocking or retention of the treated Personal Data. The affected User must be deleted and all those who have previously been transferred to Data Management have to be notified. Notification may be omitted if it does not prejudice the legitimate interest of the data concerned for the purposes of Data Management. As a Data Controller, the Company as a Data Controller examines the protest within the shortest possible time, but within a maximum of 15 days of its receipt, decides on its validity and informs the User in writing. If the Company establishes the grounds for its protest, it discontinues Data Management, including further Data Collection and Data Transfers, and deletes Personal Data, and notifies the protest and any actions taken against it to any person for whom the Personal Data concerned has been forwarded , And who are obliged to take action to enforce the right to protest. If the User does not agree with the decision of the Data Handler or if the Data Handler fails to comply with the deadline referred to in this point, he or she may be referred to the court within 30 days from the date of notification of the decision or the last day of the deadline. The User shall enforce his / her rights in the Infotv. (Ptk. ), And in any questions related to personal data you may also ask for assistance from the National Data Protection and Information Authority (1125 Budapest, Erzsébet Szilágyi fasor 22 / C, postal address 1530 Budapest, Pf.5). 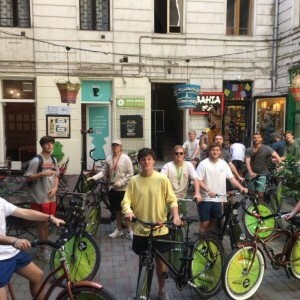 In addition, you can search the DataManager's staff at the office incubator rentabikebudapest.hu by e-mail, with any questions or remarks about any data processing.